First of all, this program isn’t discriminatory in the slightest; in fact, it’s just the opposite. The program is open to anyone who has a passion for learning Spanish with an interest in Seville and the LGBT community. The concept for the program is to create an open environment where anyone can study in a community where you can be yourself without fear or worry about your orientation. We’ve actually studied Spanish in several countries including Mexico, Guatemala and Spain and, like many situations, being gay in a crowd of straight people can sometimes be awkward. In many of the classes we’ve taken, the conversations often become uncomfortable during discussions about your relationship status and what you do in your free time. All of these topics can create a sense of discomfort for any LGBT person when you’re not certain if you’re in a safe and comfortable zone. Sometimes, it’s a matter of either lying or forcing yourself to come out to complete strangers. While we never feared for our safety in any of our courses, neither did we feel completely comfortable to open up about our personal lives. The Sign Up program in Seville is meant to change that by offering a totally open environment. In our opinion, being lesbian, gay or bisexual is both an orientation and a culture. Many people within the LGBT community embrace gay culture while some don’t. There’s nothing wrong with either approach, but it’s important to understand that there is a unique culture that developed over the decades in our community. We personally embrace gay culture and love attending gay prides and LGBT-oriented events. We also frequent gay bars and clubs and enjoy the community that’s been created. So just in the same way that gay bars, venues and prides are still an important part of our community, an LGBT-oriented language school fits into the same category. The program is hosted 6 times a year and includes either a 2 or 4-week program with daily courses, activities and accommodation. Many of the discussions are organized around LGBT-relevant topics and focus on conversational Spanish, tips and cultural subjects. You’ll spend 3 hours each morning in class and will then be free to enjoy Seville in the afternoons and later on experience the nightlife. There are also several organized events, activities and trips depending on which time of year you choose to participate in the program. 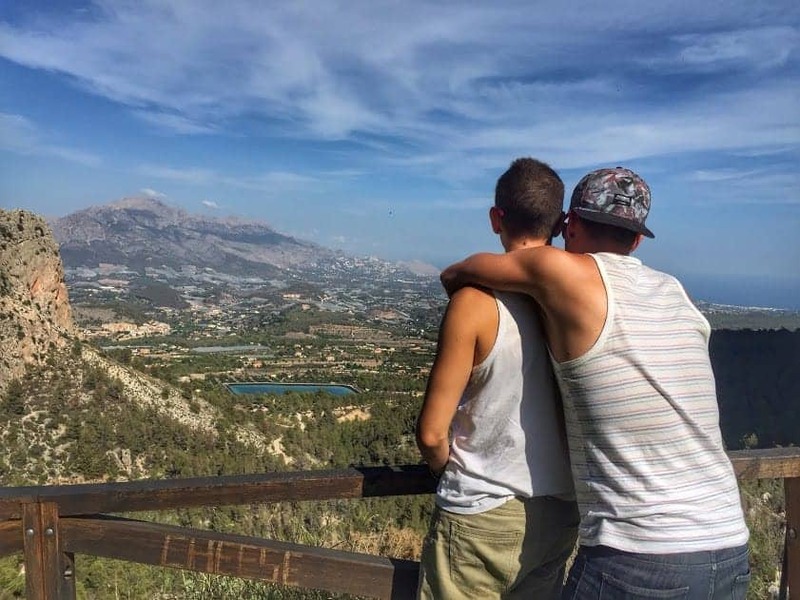 Special activities and trips include June’s gay pride festival, trips to the old Roman city of Italica and a day at the gay beach of Nueva Umbría. 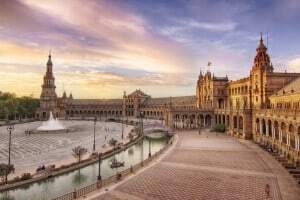 Seville is an Awesome Destination! Seville is the capital of Andalucía – Spain’s southernmost region famous for flamenco, architecture, warm weather and gastronomy. 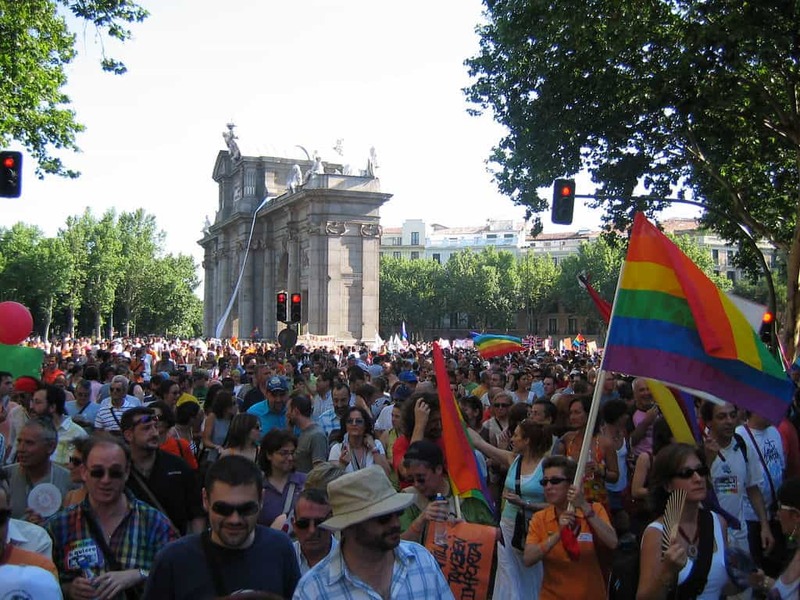 Seville is Spain’s 4th largest city and the gay scene is well developed. The dates of the program are specifically selected around festivals and events that occur in Seville. If you come during April, you’ll get to see the Annual Seville Spring Fair – one of the most famous events in southern Spain. 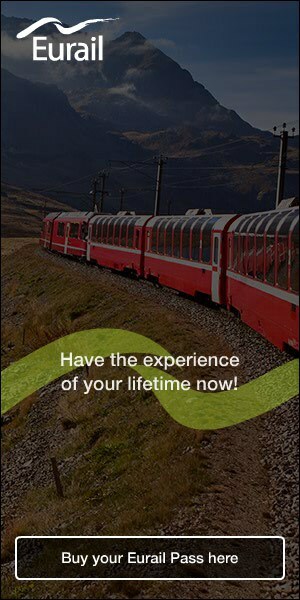 Visit during June and you’ll get to experience the gay pride festival and the warm summer heat. If you’re a bear or bear admirer, come during October for the annual Guadalkibear Festival. Besides the annual festivals, Seville is a great city to visit and you’re just a short journey from other great weekend destinations like Córdoba, Granada, Málaga or Cádiz. 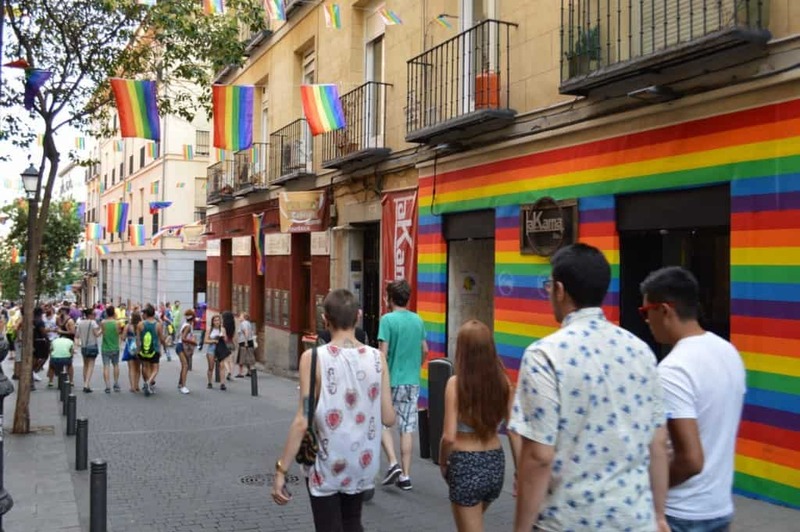 If you can’t attend the immersion program during one of the pre-selected dates or simply don’t think a gay Spanish school is for you, don’t worry. 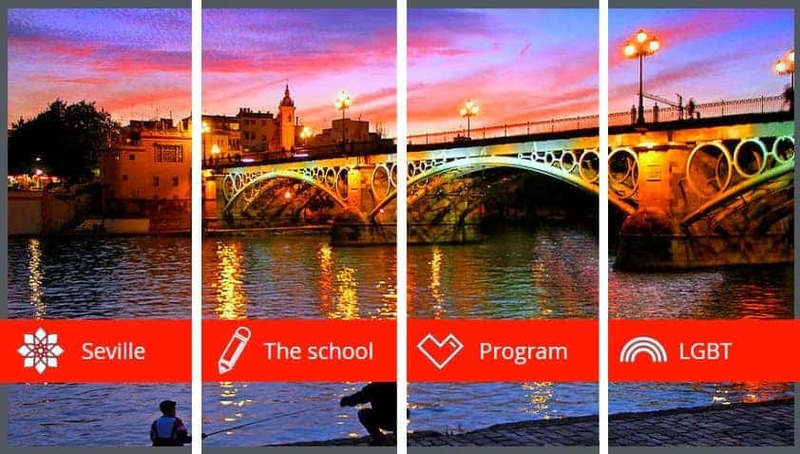 There are plenty of other Spanish schools in Seville that offer year round programs. You can also study in many cities around Spain like Valencia, Granada or our favorite (and home town) Madrid. If you decide to study in Madrid, we recommend My Language Break, which offers multiple types of immersion programs ranging from 2 weeks to 9 months. Either way, we believe immersion is the best way to learn Spanish and doing it in Spain is an amazing experience. Definitely check out the Sign Up LGBT Spanish program if you think it’s a good fit. Plus, if you decided to register with them, you can save 65€ (2-week program) or 100€ (4-week program) by signing up with our special code. Just email them and mention “Two Bad Tourists” when registering for you discount! 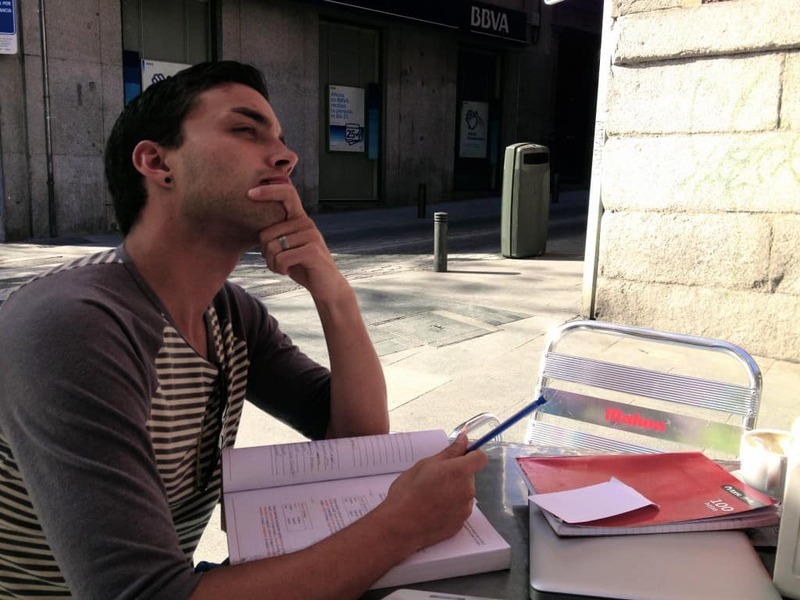 Would you consider studying Spanish at an LGBT-oriented language immersion program? Why or Why not? Let us know in the comments below! Note: Featured by Sign Up Language Institute . Some of these links are affiliates which means using them won’t cost you any extra but we do receive a small commission for each referral. You’re not obligated to use them but we appreciate it if you do. Thanks in advance for supporting this site if you choose to use our link! Cool, sounds like a good plan. Sadly, we just found out this particular program closed its doors just as we published the article. But in any case, they are many language schools to choose from. And likely any program in a major city will be gay friendly. I’m single and interested in knowing what the typical make-up of the study groups are. Are these typically mixed singles and couples? Hi Chris – sadly, we just found out that the school recently closed after we published this article. We’ll keep this post updated if we find out about any more options like this.